Google and the credit card companies aren’t the only organizations trying to nudge into the field of mobile payments. PayPal is now in the mix and has just received a boost by adding fifteen additional retailers to its list of partners. PayPal’s mobile payment system Use PayPal Mobile To Pay On The Go With Your Paypal Account Use PayPal Mobile To Pay On The Go With Your Paypal Account Since we wrote about 9 tools PayPal users should know about way back in 2008, the online money service now has an app for iPhone, Android, and BlackBerry users. 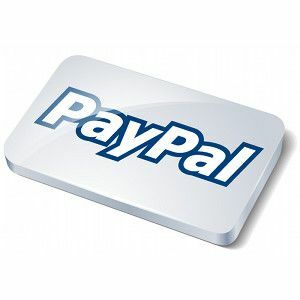 PayPal's mobile app may well be... Read More allows customers to pay using two different methods. All users who sign up receive a “payment card” that acts like a credit card but is connected to a PayPal account. Users can also pay by entering their mobile phone number and PIN, but only after signing up for in-store payments on the company’s website. These new stores join the mobile payment provider list with the solitary original PayPal retail partner, Home Depot. Unlike Google Wallet and other competitors, PayPal’s system does not rely on near-field communications (NFC). PayPal boasts this as an advantage because it means the use of their payment method is available to all customers immediately, regardless of the phone they own. What do you think? Would you rather pay via your phone number and a PIN, or does NFC seem like the way to go? I've had a horrible experience with PayPal. I have available funds, my hard earned cash. Left the state I live in to see my kids. Drove 15 hours and couldn't use the $ on my PayPal to rent a room or eat or put gas or anything. PayPal's security froze my account. WHY? Suspicious activity because of the location change from using my mobile app.. I had to resubmit my identity information. (Send a picture of my ID and Social security card) HINT HINT PAYPAL, WHEN YOU USE A MOBILE APP AND TRAVEL, YOUR LOCATION CHANGES!!! I had to have money wired to me because I couldn't use my available balance because it wasn't available for me. Using PayPal would be OK but, why would anyone want another card? I thought this was supposed to be fast and mobile. So, eBay's just bought PreyPal's way into another 15 retailers and VeriFone. What a total waste of eBay shareholders' funds; and, don't any of these retailers research anything before they enter into agreements with such clunky operators? I'm hoping they stay away from Starbucks or Dutch Bros, or its going to be the same for me. Home Depot is on the list too. Saved me last time when I stupidly forgot my card at home. They were actually the original retailer they're adding on to. What if they used a QR code or other image instead? The image/barcode redirects the phone to a payment area where they can then pay. This would prevent theft through pins and NFC as long as the connection between the phone and their server was encrypted. Also, if the person behind you saw the image, it wouldn't matter. The most harm they could do would be pay your bill for you.